So when China talks of sovereignty, it should be noted that Bhutan had to issue a demarche on the issue, asking Beijing to restore status quo in Doklam. The demarche, a formal statement, was served through the Chinese embassy in Delhi on 20 June, since Bhutan and China do not have diplomatic relations. China has had designs on the Doklam plateau even though it is the private property of the King of Bhutan. For past several years, PLA troops have forcibly intruded into this area, staying put for an hour or so, and telling Royal Bhutan Army (RBA) troops to vacate the plateau, claiming it as Chinese territory. The mere fact that a vastly bigger country like China is indulging in such antics against a peaceful neighbour like Bhutan shows the extent to which Beijing will stoop to, to occupy territory illegally, slicing it off like a salami, just like it's done with India. China's annexation of Tibet, Manchuria, Xinjiang and parts of Mongolia are all well-documented. It also wants to capture the Doklam plateau because it overlooks Chinese posts in Chumbi valley of China-Occupied Tibet (CoT). But for India, the strategic importance of Doklam lies in the fact that it not only overlooks the sensitive Siliguri corridor, but also because its occupation by China will turn the flanks of India defences in Sikkim, making them vulnerable. China is a geopolitical bully that annexed 38,000 kms of Aksai Chin just to give depth to its western highway, but wants India to not react to its blatant move of building a road outflanking Indian defences in Sikkim. The unarmed reaction by Indian troops in pushing the PLA soldiers was witnessed by the world. When Indian troops strongly objected to the move, PLA soldiers destroyed two Indian bunkers in retaliation near the Lalten post, and also arbitrarily announced closure of the pilgrimage route to Kailash-Mansarovar via Nathu La. A batch of pilgrims were earlier held up at Nathu La, with China fabricating a lie that the route beyond was disrupted by landslide. The landslide in Sichuan province of China occurred later on 25-26 June. 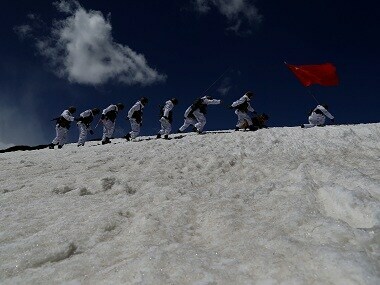 The route via Nathu La for the Kailash-Mansarovar pilgrimage goes through CoT, and was agreed to by Chinese President Xi Jinping during Narendra Modi's visit to China in 2014, and a formal agreement between the two countries was signed in September 2014. Chin's act of stopping the pilgrims at Nathu La amounts to breach of agreement. Perhaps it also can be viewed as a silent form of terrorism, akin to Pakistani terrorists attempting to block the Amarnath Yatra. China had earlier claimed Tawang on grounds that Tibetans visit the ancient Tawang monastery, but in 2005, it expanding this claim to 90,000 sq km, to seek out the entire state of Arunachal Pradesh. But what about the enclaves of Minsar (Men ser), near Lake Mansarovar (Ma pham), used by Indian pilgrims of all communities, and the Bhutanese enclave of Tconsists of Darchen (Dar chen), Labrang, etc. near Mount Kailash (Gangs rin po che, Ti se) again used by Bhutan and Indian nationals for periodic pilgrimages, especially when Mount Kailash is the abode of Lord Shiva as per ancient mythology? China timed the road construction activity to the Doklam plateau deliberately to coincide with Modi's visit to the US knowing fully well that Indian troops will be forced to react, giving an excuse to China to snub India by closing the pilgrimage route to Kailash-Mansarovar via Nathu La. China is also hopping mad that without India joining the China-Pakistan Economic Corridor (CPEC), its economic viability is under a cloud. But then it did go ahead with the CPEC project completely bypassing India's strategic, security and territorial sensitivities, especially considering CPEC runs through PoK, which is Indian territory. Ironically, the current standoff is next to Nathu La, which the PLA was forced to abandon for three days in 1967. The State-controlled Chinese media is now insisting that India "needs to be taught the rules". This is perhaps because Jinping is steeped in the colours of Deng Xiaoping. 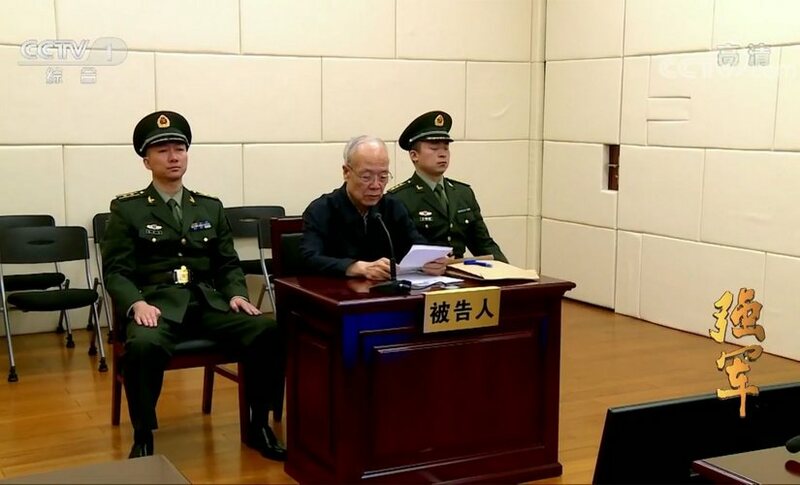 China should remember that China under Xiaoping invaded Vietnam in 1979 "to teach Vietnam a lesson", but instead learnt a lesson themselves. Jinping was then secretary in the Chinese ministry of defence. Again during the 1986 Sumdorong Chu incident, Xiaoping threatened to "teach India a lesson", but eventually had to retreat. China has backed Pakistani terrorism, even protecting Masood Azhar at the United Nations, but faced a blow when the US designating Syed Salahudeen as a "global terrorist" and exposing the Hizbul Mujahideen, If China is worked up that Pakistan is getting cornered and that terror may affect the CPEC, as some voices in China are being raised, it is China's own doing. As for the standoff, it is likely to continue for some time. India would obviously remain resolute, but what India must do is continuously target the $60 billion bilateral trade imbalance in China's favour. Chinese media will as usual say that it does not matter much, but that is again another lie, better known to the Chinese pundits.